We are able to digitise and transfer large and small Panasonic MII tapes. Panasonic MII machines in a working condition are now quite rare. Early machines had reliability issues and the format’s age combined with it’s lack of popularity in relation to Betacam SP has meant machines and spares can be unavailable and difficult to source. We have 3 machines, service manuals and spares support so can support this format for tape transfer. 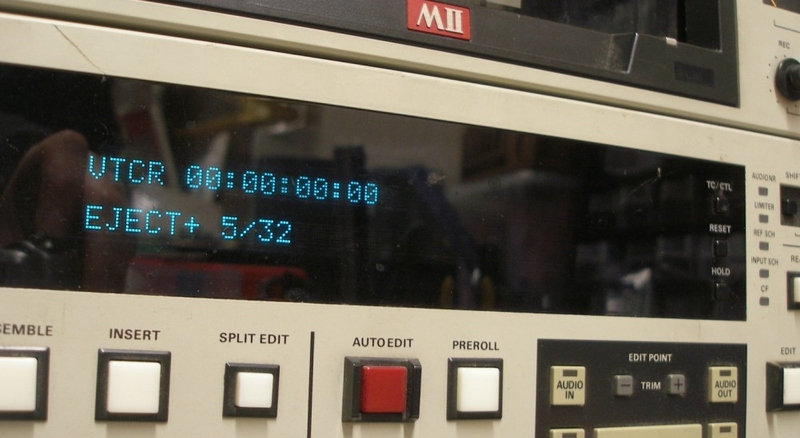 MII (’em-two’) was a professional analog recording videocassette format developed by Panasonic in 1986 as their answer and competitive product to Sony’s Betacam SP format. It was technically similar to Betacam SP, using metal-formulated tape loaded in the cassette, and utilizing component video recording. Panasonic MII uses half inch metal formulated tape. Large and small tapes were manufactured to cater for recording lengths and camera transports. MII managed to gain a foothold in the television industry. However it did not last. The format was not well marketed, there were reports of widespread customer dissatisfaction. MII machines are still in use but have become very rare. Tapes are hard to buy and the format is all but dead.